Ha! 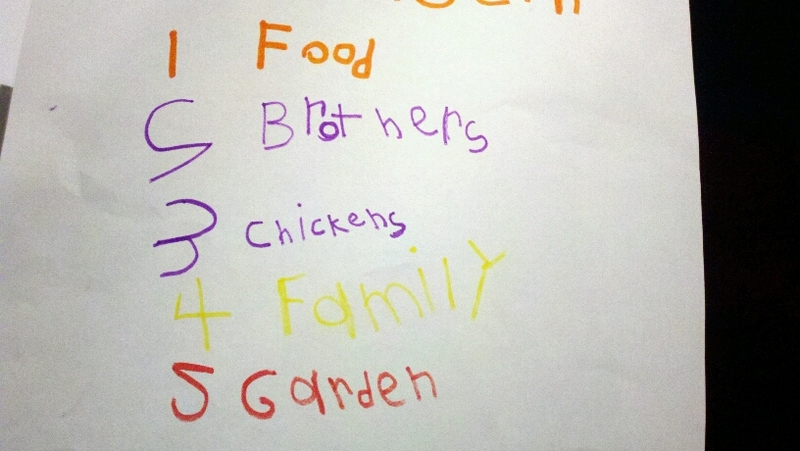 Jen, did you notice that 3 of the 5 are food-related? They’ve spent time talking at school during their Thanksgiving food drive about how some boys and girls don’t have enough food to eat. I think she heard that message!